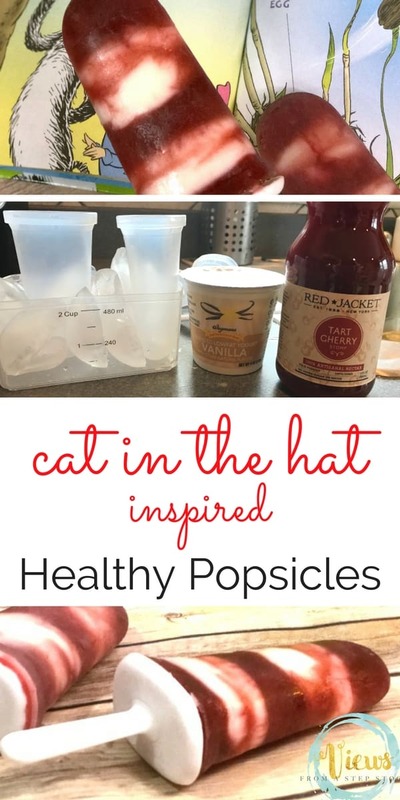 These healthy Cat in the Hat inspired popsicles are the perfect treat on a hot day, or when celebrating Dr. Seuss! 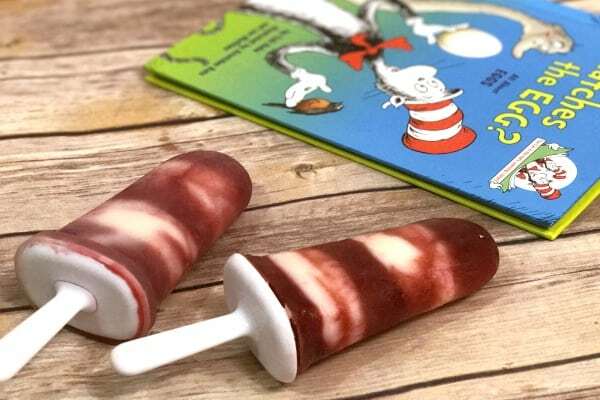 The iconic layers of red and white instantly make me think of the well-known hat from some of our favorite books. 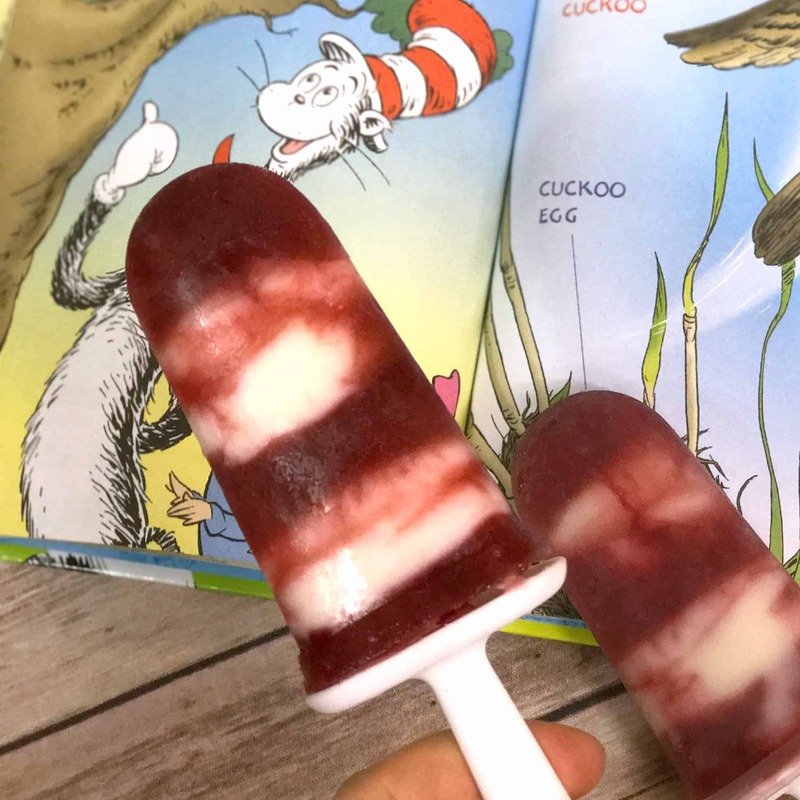 As part of this week’s Virtual Book Club for Kids and in celebration of Dr. Seuss’s birthday, we are making (and enjoying) these yummy Cat in the Hat treats! 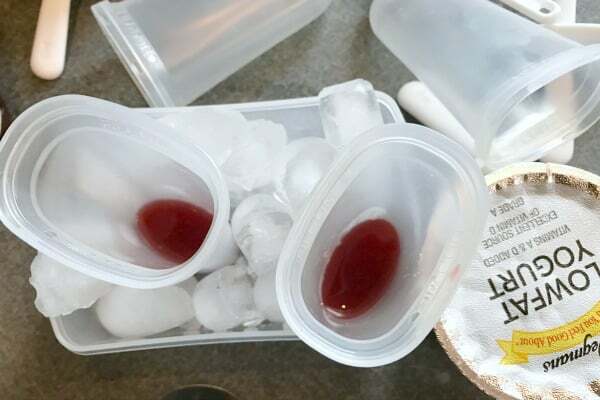 The freezing process can take a little bit of time and patience, but is pretty straightforward and easy. 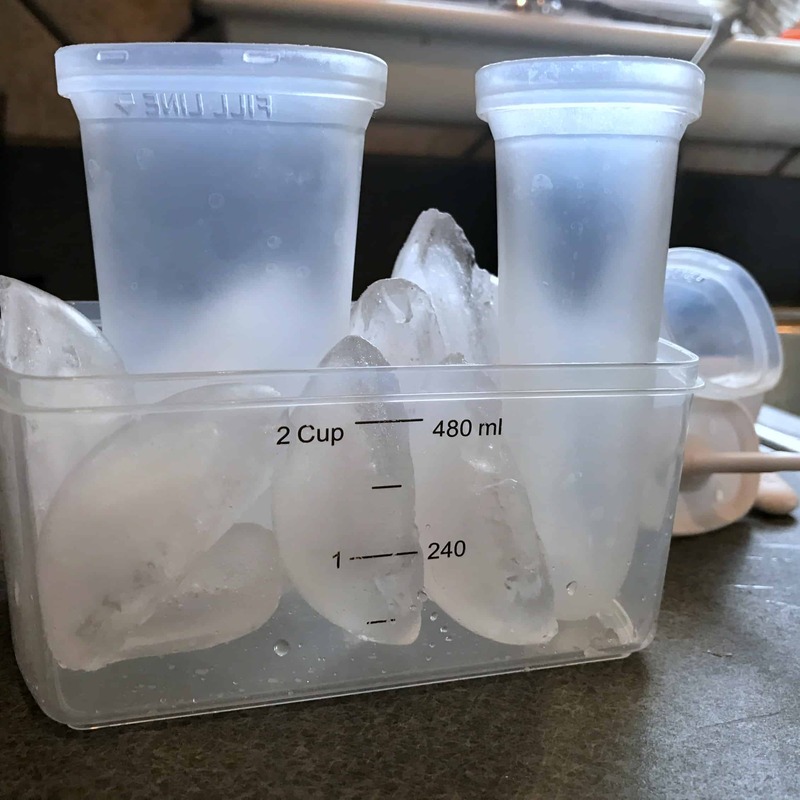 To begin, if your popsicle molds don’t have a holder, you can put them in a container with ice to make them stand up straight, this will help your layers stay fairly even. 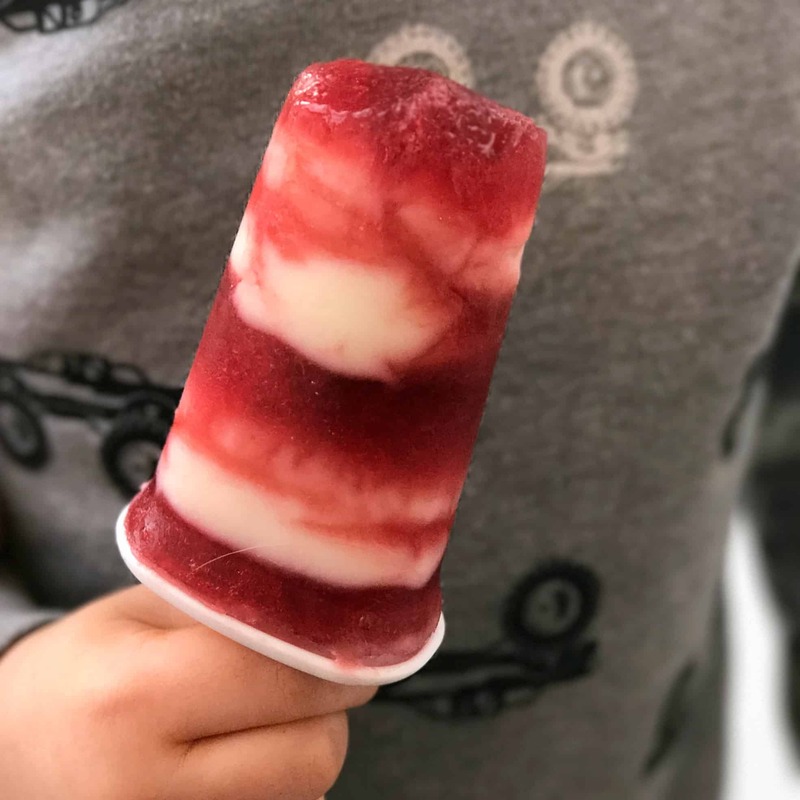 Start by putting a little bit of cherry juice in the bottom of the molds (1/5th of the way up) and freeze. Once this layer is frozen, add some vanilla yogurt another fifth of the way up. Freeze again. Continue repeating this process until you get to the top of the molds. 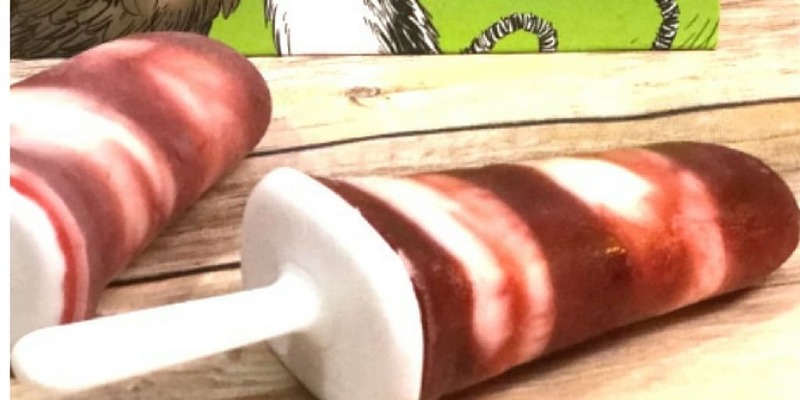 Important: you will want to just partially freeze the top two layers so that they are frozen enough to stay separated, but that you can also put the stick in! 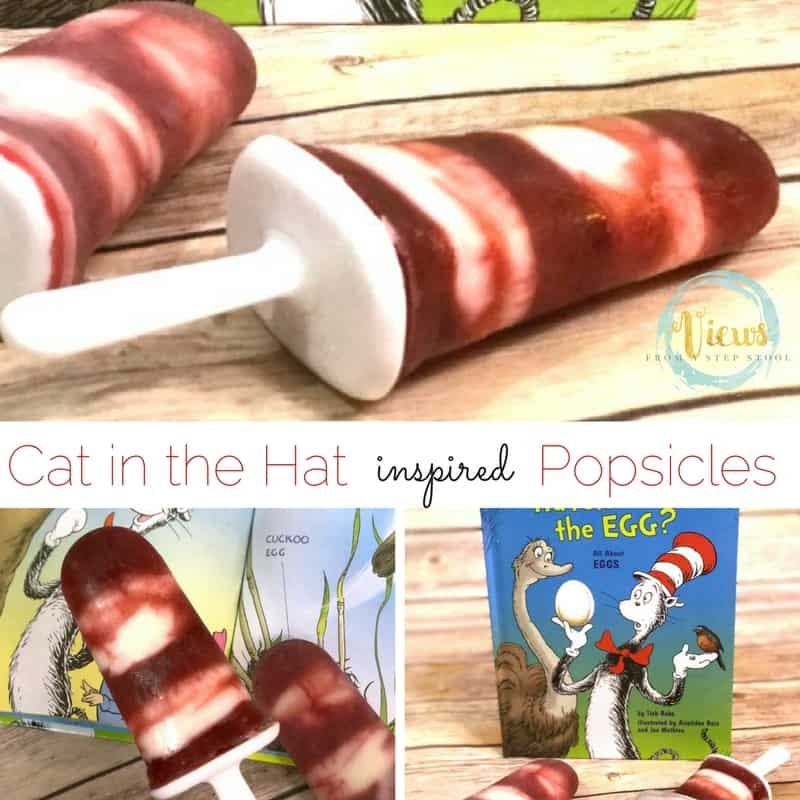 Once completely frozen, read a Dr. Seuss book, and enjoy your yummy Cat in the Hat inspired popsicles! 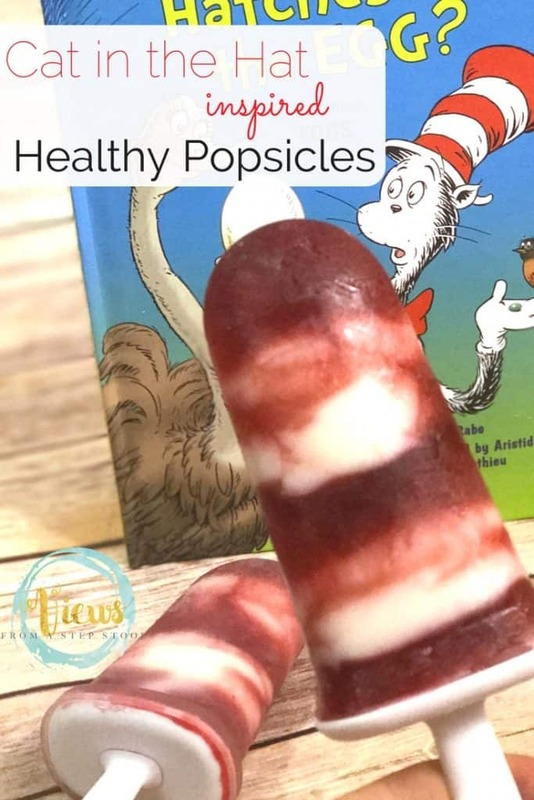 I call these ‘healthy’ popsicles because they use yogurt and natural fruit juices to make. 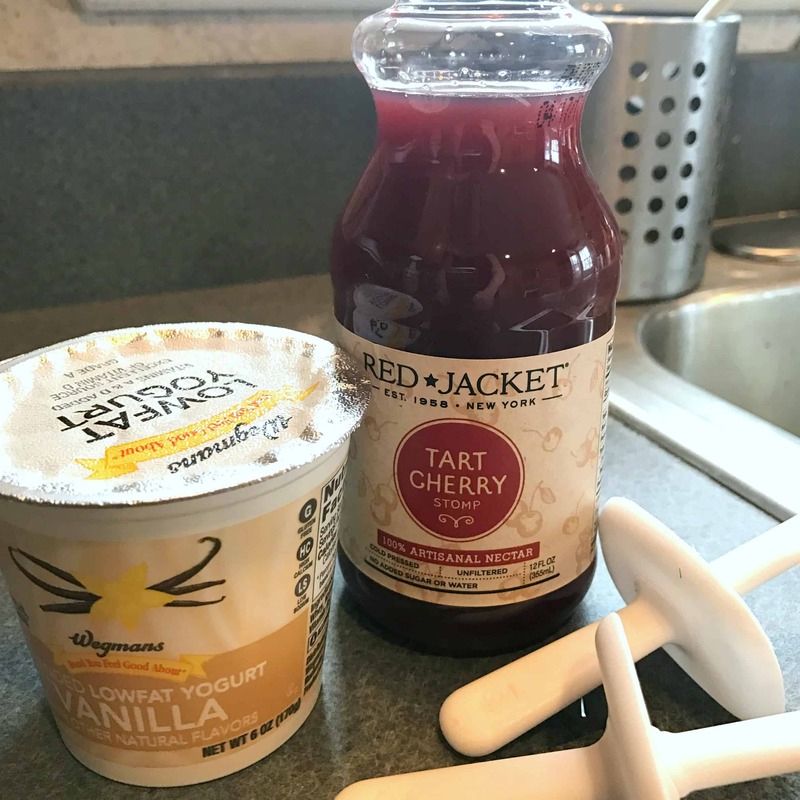 You can make them even healthier by using plain greek yogurt with a dash of vanilla extract in place of vanilla yogurt! 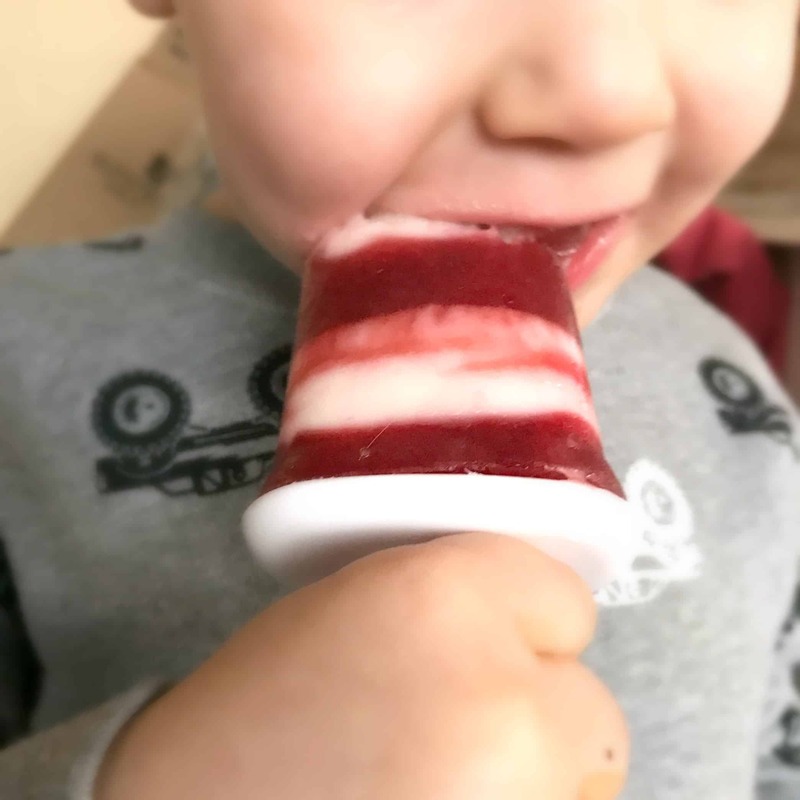 Additionally, cherry juice does not contain any artificial red dye, and contains antioxidants! 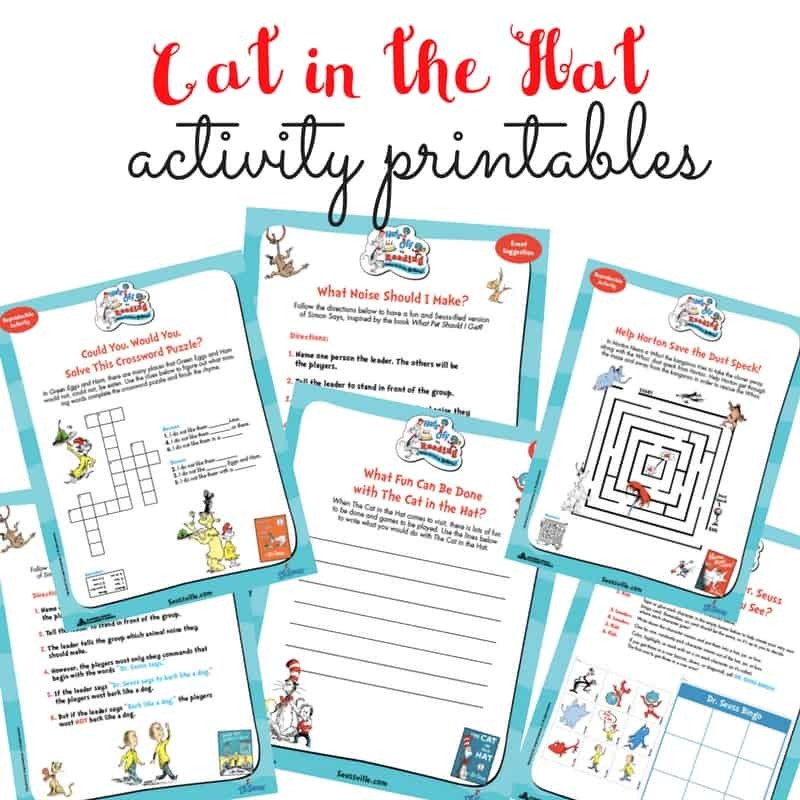 Also, grab these fun activity sheets provided by NCircle Entertainment! 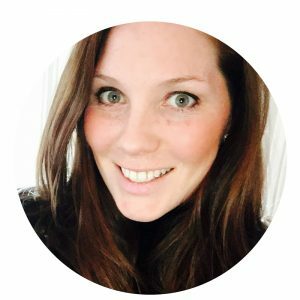 Check out their latest release, the Cat in the Hat knows a lot about space! 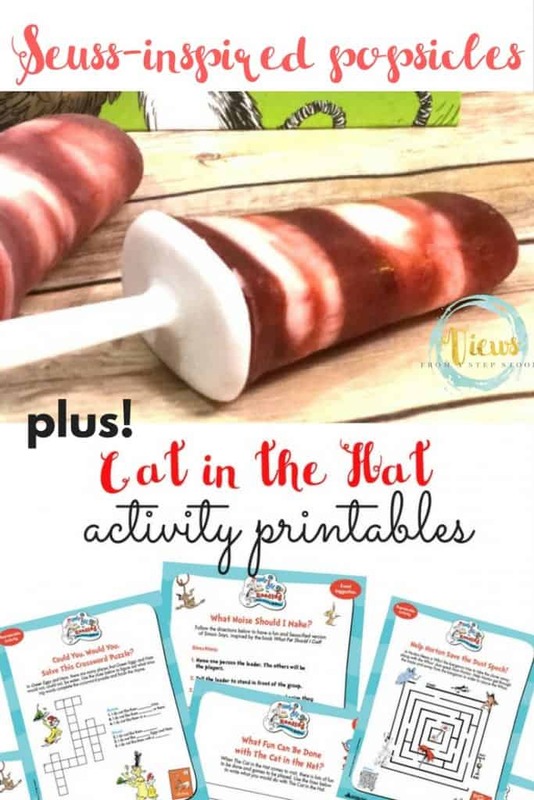 More Dr. Seuss activities from the VBC co-hosts!